Mar 29, 2010 • Every year, hurricanes and droughts wreak havoc on human lives and property around the world. 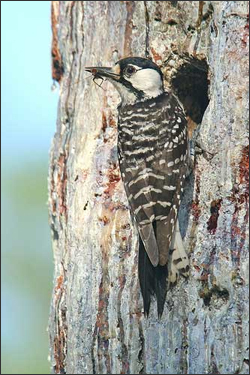 And according to a pair of new NASA-funded studies, migratory birds also experience severe impacts to their habitats and populations from these events. “These studies suggest that whether a hurricane or a drought batters an area, migratory habits — whether birds migrate south or stay put after breeding season — are a strong predictor of how birds will fare,” said Anna Pidgeon, an avian ecologist at the University of Wisconsin-Madison and a NASA-funded co-author of both studies. Pidgeon, along with colleagues from NASA, the U.S. Department of Agriculture’s Forest Service, the University of Maryland-College Park, and the University of Wisconsin-Madison, grouped 77 bird species into “migratory guilds.” The guilds were based on similar migratory habits: birds that migrate long distances (to the tropics or subtropics), short distances, or reside solely in one location; breeding habitats: urban, semi-arid, or water-based habitats; the type of nests they construct; and whether they nest on or close to the ground or in tree canopies. 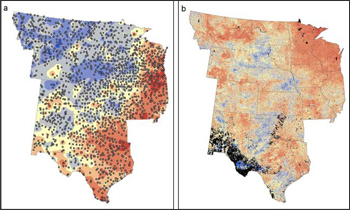 In a separate study, Pidgeon and colleagues identified periods of drought and their subsequent impact on bird species. They started with a measure of the amount and quality of refuge for birds — the Normalized Difference Vegetation Index (NDVI), which assesses the seasonal “greenness” of the landscape. The method involves using data from a satellite-based radiometer that measures the color of the landscape in different wavelengths according to a plant’s ability to absorb radiation. The stronger the reflectance of wavelengths off Earth’s surface, the greater density of green leaves on the ground. 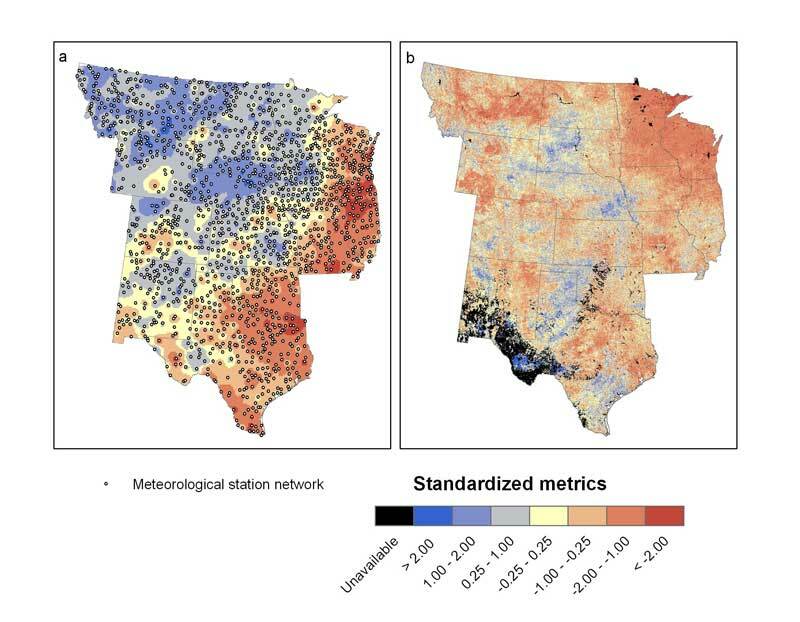 When they compared this “greenness” against 15 years of precipitation data from 1,600 weather stations across the plains of North America, the team found that precipitation is a better means of forecasting bird survival during drought. “Rows of corn may be a sign of vegetation when viewed in a satellite image, but they don’t help protect birds during a drought because they’re not essential habitat,” Pidgeon explained. Whether researchers considered bird species together or in groups, according to whether they stay in an area all year versus spending the winter to the south, they always found that precipitation, rather than “greenness,” was more strongly associated with species diversity and abundance. This entry is filed under Carbon and Climate, Ecosystems and Biodiversity, News, Science.